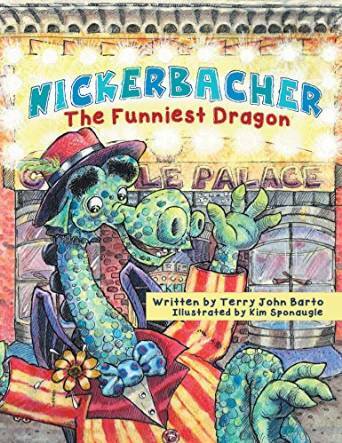 Nickerbacher, The Funniest Dragon by Terry John Barto is a wonderful, new children’s book. In it, Nickerbacher is doing his assigned job of guarding a princess when she convinces him to pursue his dream of being a stand up comedian. Nickerbacher finds that being a comedian is a lot more work than he thought. I received this book from the Book Club Network and the author in exchange for my honest opinion which I’ve provided here.